Most home cooks have a signature dish. You know that dish you make when you want to impress family, friends, or even that special someone. This dish is so good; everyone tells you it should be on a menu somewhere! What if you got that chance? Does your dish have what it takes? The folks at Carlucci’s in Downers Grove had an open call out for people to submit their best pasta dishes with a chance to be featured on their menu. With nearly 50 entries submitted, executive Chef Kevin Provenzano whittled them down to six finalists. Dishes were scored on taste, appearance, originality, and difficulty to prepare. The finalists each brought a guest to help judge each others dish. What they didn’t know was that Chef Pravenzano, Joe Carlucci, Suburban Life Publications assistant managing editor Jonathan Schuler, and yours truly were on hand as guest judges. Coming in third were Karen Whalen’s savory farfalle & sausage. The runner up was Karen Price’s rich and creamy crab bisque riccotta shells. 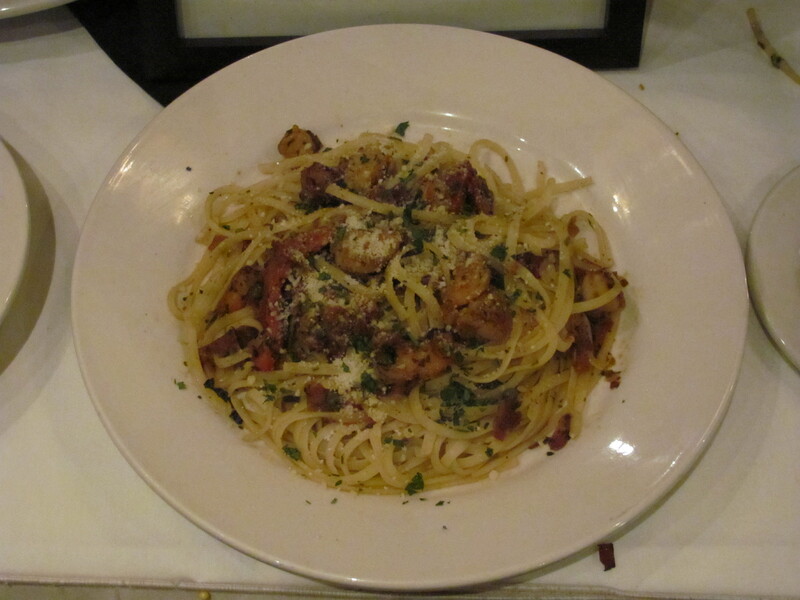 And the grand champion was Dan Peloza’s shrimp and sun dried tomato linguini misto. Dan’s winnings include his dish being featured on the Carlucci menu for a month, a $200 gift card to the restaurant, and one night stay at the Doubletree. 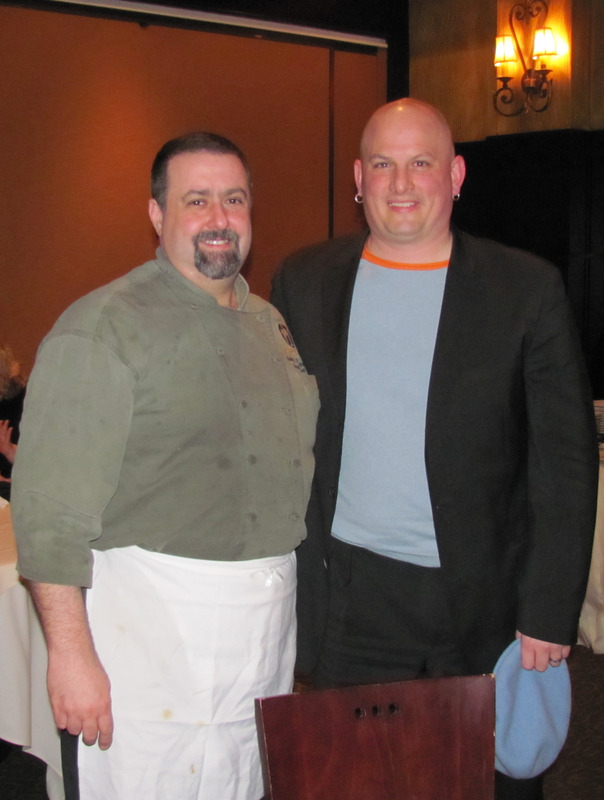 I want to thank the folks at Carlucci’s for asking me to be a guest judge and I would like to offer my congratulations to all the finalists for filling my belly with you terrific pasta creations!